Editor's Note: This is the third part of a series examining different aspects of Bible translation, inspired by the recent controversy surrounding Wycliffe Bible Translators and its translation for a Muslim context. While The Christian Post series will not be focusing exclusively on the Wycliffe controversy, the topics in the series are related to the situation and are helpful to understanding the complicated nature of Bible translation. Eminent New Testament scholar and Bible translator Daniel B. Wallace recently spoke with The Christian Post about his work with the New English Translation (NET), choosing beneficial translations and grappling with what he believes are some of the more harmful misconceptions, myths and lies about Bible translation. 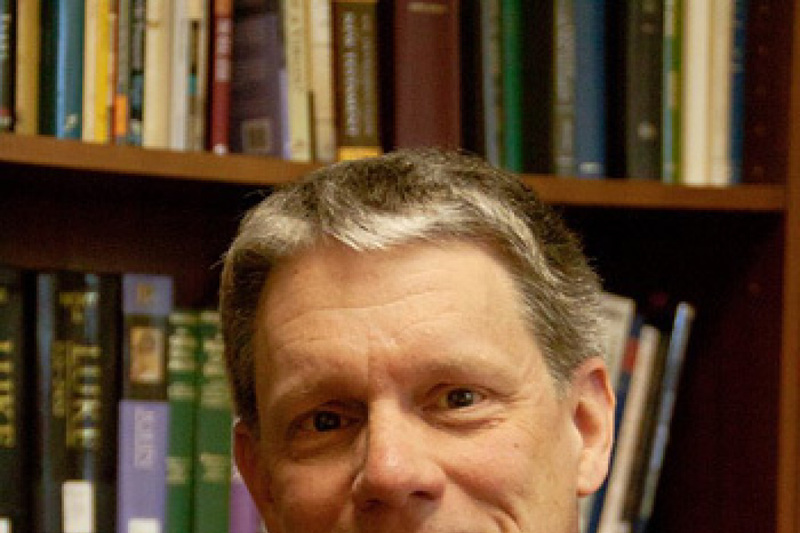 Dr. Wallace is professor of New Testament Studies at Dallas Theological Seminary, where he has taught for more than 25 years, and is Executive Director of the Center for the Study of New Testament Manuscripts, established in 2002 for the purpose of digitizing Greek New Testament manuscripts. The New Testament scholar, whose Greek grammar textbook is used at seminaries across the U.S., has served as a consultant on four Bible translations, and most notably worked as the senior New Testament editor of the NET Bible — which he says is "the translation that translators like." Below is a transcript, edited for brevity, of Dr. Wallace's interview with The Christian Post, in which he also discusses both positive and disturbing trends he has noticed in Christian theology, as well as his hope for future generations of biblical scholars. CP: Describe briefly the work that you do and why it's significant. Wallace: My emphasis has been in especially three areas in the New Testament. Textual criticism is one, Greek grammar is a second and the third is what's called exegesis, or interpretation of the text in the Greek text. I teach a class on Romans for example, which is an exegesis verse-by-verse going through the Greek text in Romans because I think that's the most important letter we have in the New Testament. [Martin] Luther felt it was so important that every Christian should memorize the whole thing, word for word. He had just recently done the translation of the Bible into German so they had not even had the opportunity to memorize it. … That's a very important document. On Greek grammar I've tried to analyze what the language is all about so that we can have a better sense of what these biblical authors are actually saying. Textual criticism deals with the question of what did they originally write, and to try to determine that in light of the thousands of textual differences that we have among the manuscripts. So trying to sift through all the data and get back to the original wording is really what textual criticism is all about. I've been doing that since 1979, I've been working in that area as well. CP: What was your role as the New Testament Editor on the NET Bible? Wallace: First of all, what I had to do was determine who would be the people to do the original translations, and I translated a couple of the books. We assigned the books of the New Testament to people who had spent years teaching those various books from the Greek New Testament, so they knew the texts well. This is a little different from how translations typically work — they just get people who are well-known scholars to do the work. But we tried to find the very best people who had spent time in that particular book. So we got a Matthean scholar to translate Matthew and a Markan scholar to translate Mark, and so forth. But then, once the translation is done, there's a number of things that have to be done at the ending stage. For example, place names need to be spelled the same way throughout the whole New Testament, and that's the job of the Editor to make sure that they are done that way. One of the things that we did with the NET Bible that, from all that I understood has never been done before — and I've consulted with other translators of major translations — and that is we went through Matthew, Mark and Luke in the Greek text in what's called a synoptic parallel. Matthew, Mark and Luke are known as the synoptic Gospels, that is they are viewing the life of Jesus from the same or a similar perspective, while John's is quite different, and there's a lot of overlap in material between Matthew, Mark and Luke. So what we did, is we looked at the Greek synopsis and I color coded that so if you have identical wording between two Gospels it got one color, depending on which two it was; identical wording between all three would get a different color; almost identical wording you'd get underlining. It was fairly complicated, it would take about 500 hours to do that. Then, an assistant editor went through all that and made comparisons with the Greek synopsis and the NET Bible to make sure that what we were saying was... if the Greek is saying exactly the same thing in two or three Gospels, then we probably should say the same thing in our translation. I think it was a major achievement. We saw translations that, for example, would speak about the servant girl who spoke to Peter, where he denied the Lord (mentioned in Matthew, Mark and Luke) … and each time, we saw some translations where they translated exactly the same Greek word differently three different ways. There's no reason to do that, but because they had not done a careful examination of the parallels, they were not able see that they had done this kind of indiscriminate changes that they made to the text. CP: What were the other Bible translations for which you've served as a consultant? Wallace: The first one I worked on was the New King James Version. I was a proofreader by working directly for Dr. Arthur L. Farstad who's the senior editor of it. I did that while I was in seminary back in the late 70s, and made about 200 suggestions on the translation. Then I've been a consultant for the ESV, and I was also an outside consultant for the TNIV. I've also been a consultant for the HCSB. CP: Which translations do you prefer for personal Bible study? We've got three different kinds of notes in there. One is text critical which deals with textual problems in a far more detailed way than you'll see in any other Bible translation. Others will say "other ancient authorities read this word," and the NET Bible might have half a page of notes discussing the textual problem, listing the manuscripts on both sides, telling why the editors went in one direction instead of the other — so it's a very helpful apparatus for textual critical notes. special problematic passages. We've found that translators for other translations told us that they could not have done their work without using the NET Bible notes, it became that helpful. So we kind of view it as the translation that translators like. The third kind of note is what's called the translator's note where we list the different ways in which the words can be translated. Basically what the NET Bible does is, anybody who wants to understand their own translations better, the NET Bible helps them see the kind of decisions that were made and what the other options are for them. The ESV is the other one that I recommended as a really good study Bible. It's got some nice cadence to it. Leland Ryken, who's professor of English literature at Wheaton College, worked on it as a stylist making sure that its kind of understated elegance, it's memorable. For the 21st century, it comes about as close to duplicating the elegance of the King James Bible as can be done today. I think it's also an accurate translation. I think the Old Testament especially is very good, but the New Testament also is a good translation. Those are the ones I'd recommend for study Bibles. Finally, I'd recommend a reading Bible. One that you should read a paragraph at a time, a chapter at a time, to really get a feel for the flow of a discourse or a narrative. The NIV is exceptional for that, it's also a good study Bible, too, but the NIV is very good for that. So is the New Living Bible, the Revised English Bible and even the Message is good along those lines.